The year has already seen two special events, iPhone 4 Launch & Music event from Apple and WWDC 2010 annual event. It looks Apple is on steroids, Apple will be holding one more event and this time its “Back To The Mac” event. The event name itself gives us clue of what Apple planning to talk about. It is surly about Macs, it could be new hardware release or new Mac OS X. 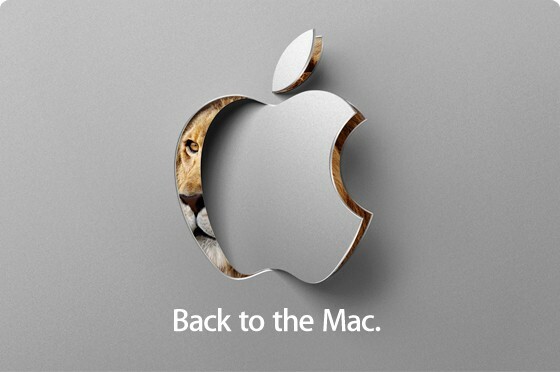 Back to the Mac event wallpaper of lion sneaking around behind the logo suggests high chances of next version of Mac OS X coming at the event. The event will be held 10AM PT on October 20th. Stay tuned with us for more information about event. (via Engadget). We will update this post once we have link to Apple live streaming, mean time Stay tuned with us to know about all important announcements at “Back to the Mac” Apple event.